For the Samsung ARTIK challenge I set out to save water through reducing one of the biggest consumer in California, irrigation. Current Irrigation timers lack any knowledge of current weather conditions and a plant’s needs so they are hugely inefficient. They activate at the same time every day regardless of whether it is cloudy and humid, dry and sunny or even whether or not it is raining. Using a more advanced watering system can reduce the water usage by an average of 26% for residential consumers. This alone could save California over 230 Billion gallons of water a year if every family in California used a smarter watering timer. 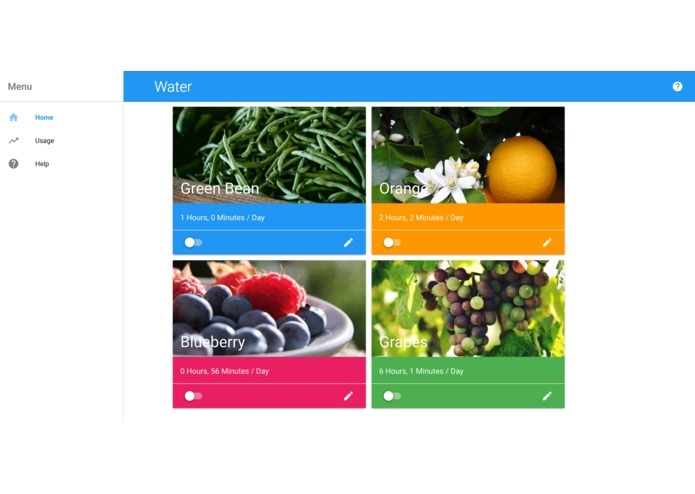 To solve this problem I created an intelligent watering timer using the ARTIK module and a connection to cloud services. The ARTIK module can control existing irrigation valves through a relay board hooked up to the GPIO pins. 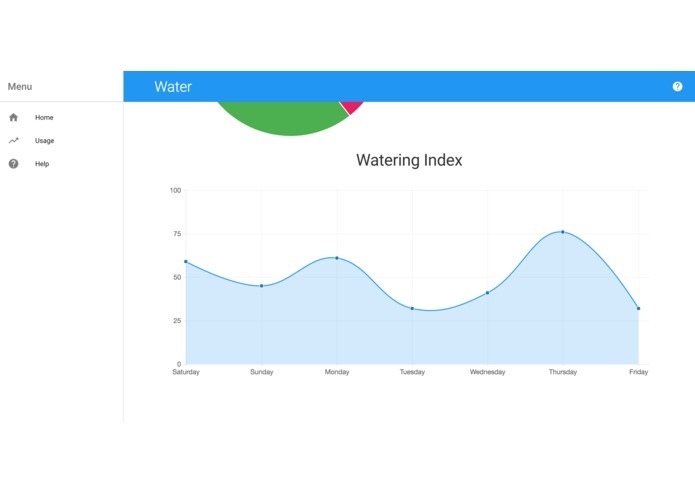 The server automatically adapts the schedule to changing weather patterns based on data from the California department of water resources and the NOAA. In this project the unique capabilities of the ARTIK platform made many of my final solution's capabilities possible. The combination of an open source linux operating system and the powerful samsung hardware allowed me to develop the product as I wanted, I did not have to work around limiting hardware or software. The powerful wireless radio in the development kit allowed me to deploy the device in a shed near the garden without worrying too much about the wireless range. My inspiration for this project came from a service provided by my local water department. They provide data about water usage in the form of a simple percentage use compared to a hot day. This is great at saving water but it is not reasonable to expect a normal consumer to continuously manually update their irrigation schedule through an outdated control panel on their actual device. I solved this by expanding it to all of California and making my smart controller extremely easy to use. Some smart irrigation timers exist but they are difficult to use and mainly targeted at commercial agriculture customers. 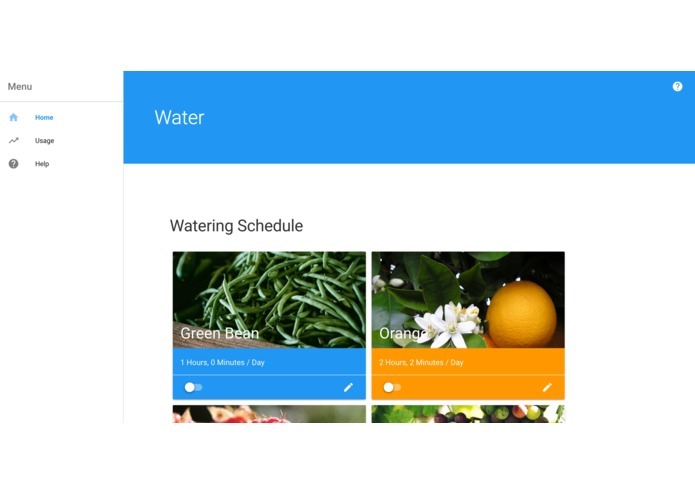 My product includes an extremely user friendly web interface to remotely control your irrigation system so it can be used by anyone. A residential customer can just set up the controller once and never touch it again, it will adapt without further input. 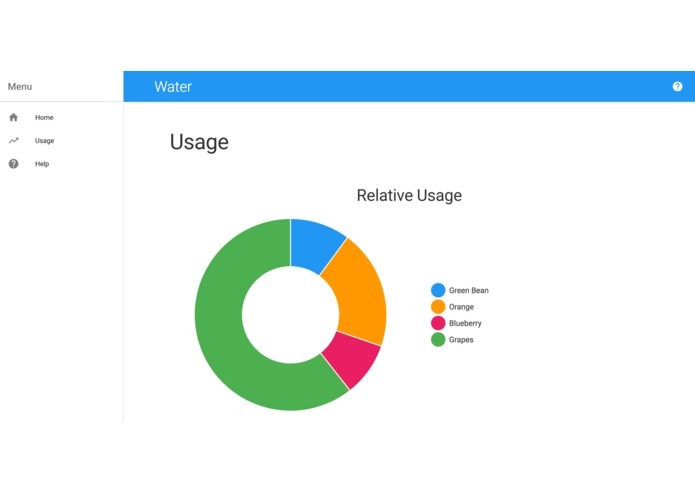 If they prefer to know exactly what is happening in their garden they can easily monitor their water usage through the usage tab of the web interface. 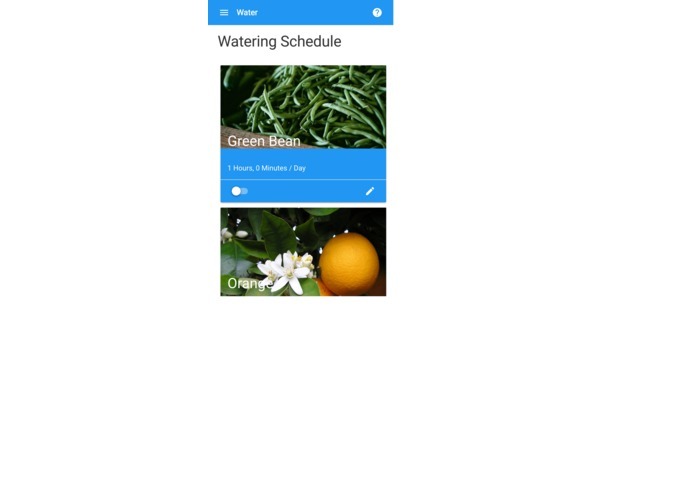 Normal smart timers also don't have access to the internet so they can't get data from a weather prediction service and incorporate that data into watering schedules. I would like to continue developing it until it is ready for production. I would like to find manufactures and begin selling it as a commercial product for residential consumers. Before I get to this stage there are a few things I need to do; I need to put the finishing touches on the software and test it with real users, I need to design a pcb, and I need to do some ling term trials of its effectiveness at saving water.